Imagine guys who can shred your face off on guitar but cannot play a ‘G Major’ scale if I asked them to. Even though there is no shortage of music educational materials that are easily accessible to anyone, it seemed there was still this big barrier for many musicians to learn theory. I was mulling this over and kicking around the idea of creating a music theory website, then it hit me that maybe if music theory was more fun, more people would take to it. And what’s more fun then a video game! It was when I decided that a game was the best format, I decided a mobile app was the right delivery system. 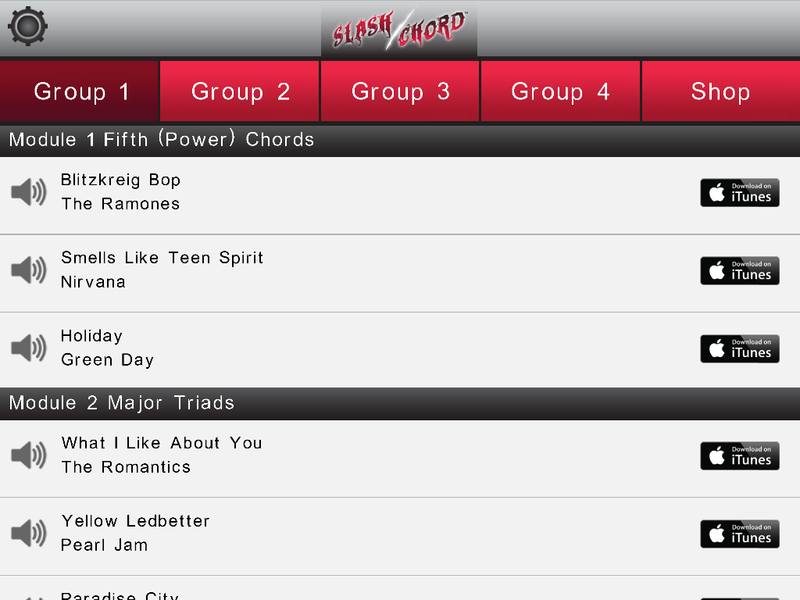 How is Slash Chord different from similar apps or competitors? Slash Chord is a video game in the style of Fruit Ninja that teaches you music theory using popular rock songs as examples. Think music notes instead of watermelons. Build the chord progressions of your favorite rocks songs by slashing the notes that make up the chords with your finger. 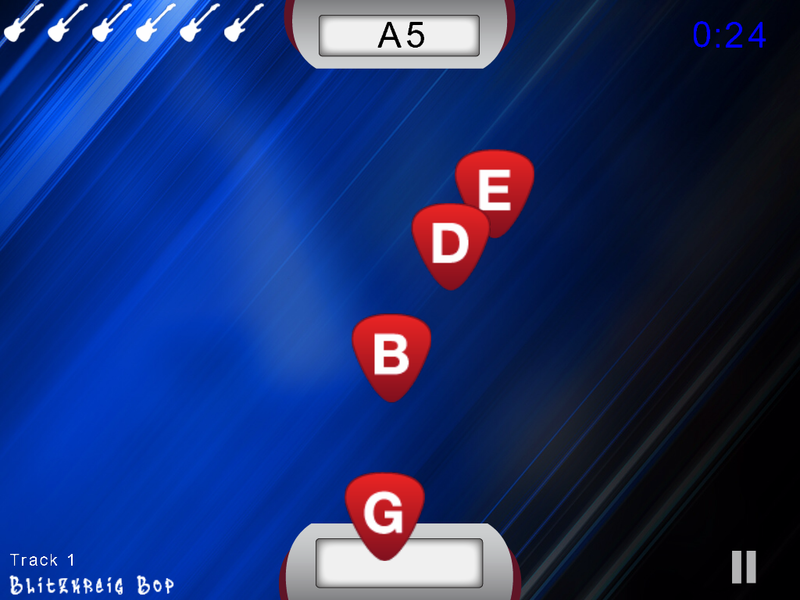 Slash Chord is different from competitors because is actually teaches you lessons, but in a fun way. Flashing lights – These are interesting because they are probably the most popular music apps but they don’t actually teach you anything. In these you might touch glowing lights that fly toward you or strum a virtual guitar, but ultimately these games lack educational value. 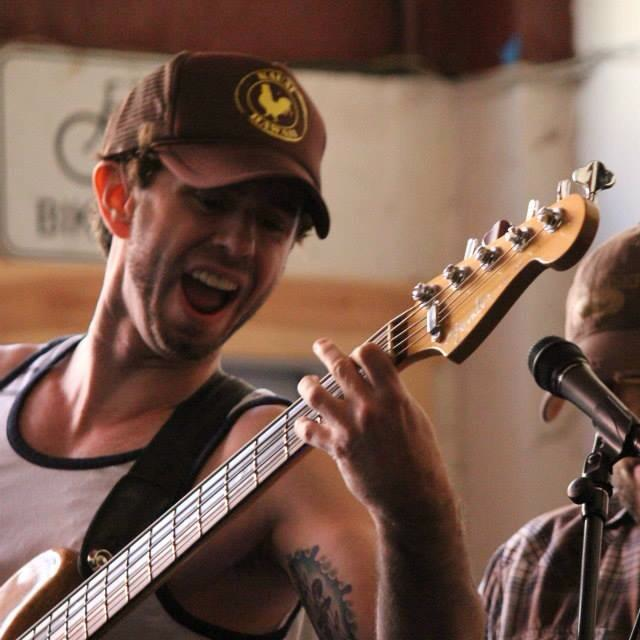 We feel that Slash Chord fills the void of a fun, educational game for adults. 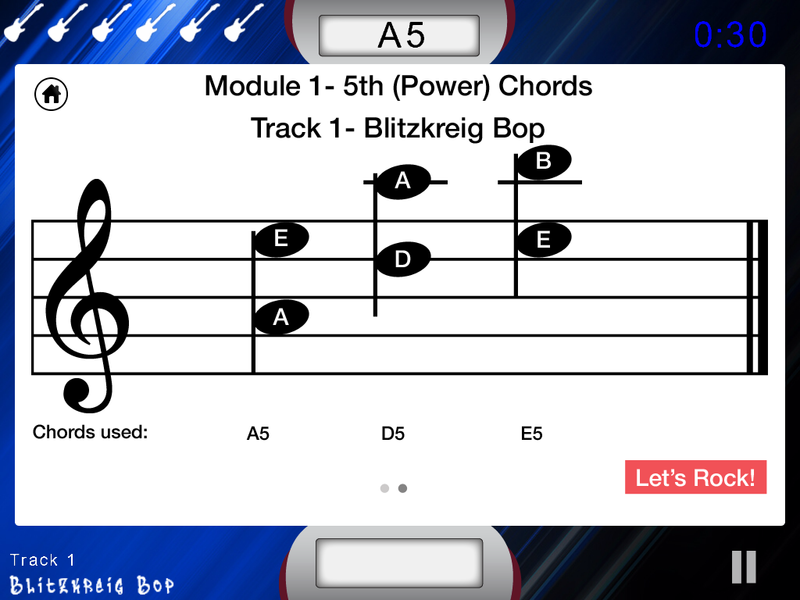 What went into the design and UI of slash chord? The app icon had a lot of iterations, there were a couple elements we knew we wanted represented, a lightning bolt-esque slash and a guitar head, but then it took us a dozen or more attempts to get it right. The background color, the type of slash, the angle of the guitar, where exactly the slash would break the guitar neck, I’m sure I drove my graphic designer crazy. The user interface was a collaboration between myself and my graphic designer, we originally had a more complex interface but then when we started running into code complexity and file size issues, we started to cut out the fat and make the interface as simple as possible. We don’t want to distract users from the gameplay so we removed lots of elements from the gameplay screen, in order to help keep the user focused. What developer tools or resources did you use in building the app? The primary SDK we used turned out to be a bad choice, it has a ton of limitations, including it’s compatibility with other SDKs used for social and monetization. I attended Casual Connect San Francisco 2014 and met some great people there who gave me a ton of feedback and tips when I showed them my demo. The next 2 weeks after Casual Connect, I spent reinventing the app, or ‘pivoting’, for fans of HBO’s Silicon Valley. What developer lessons did you learn using these resources? Being that this is my first app, I didn’t know any better, but if I could turn back the clock I’d use the Unity SDK instead, and maybe Cocos2d for some of the physics. In attending Casual Connect I learned there is no shortage of companies to help you analyze, monetize and promote your app, for the right price of course. What went right and wrong with the release? In short nothing went right and everything went wrong, lol. We encountered every development problem you can think of, we had audio problems, graphics problems, code problems, even the problems had problems. I think that’s pretty typical when it’s the first app for most of the team members, but I sure hope the sailing is smoother next time. We are currently beta testing Slash Chord and have not released it, but we will soft launch launch it in Canada soon for iPad and then launch in the U.S. for iPad and iPhone thereafter. Ian Monat – Slash Chord is my vision and I formed the team, created the game content, designed and recorded the sound and manage the marketing. Chris Watson – Graphic designer and built the corresponding website. Bobby Steele – (since left the company) Backend developer. Zac Reitz – Programming intern. Hidden Brains – India-based development firm that was contracted to finish development. What were you doing prior to creating Slash Chord? Aside from being a lifelong musician I come from a corporate marketing background and run my own ecommerce business in the auto part industry. Chris is a Creative Director at a large hospital chain, Bobby teaches game design and Zach was a game design student. What other apps can’t you live without or inspire you? I see these as two very different questions, some of the apps that inspired me to create Slash Chord are Smule’s Magic Piano and Guitar!, as well as Ovelin’s Guitar Bots, and of course Fruit Ninja. The only other game I’ll play with any regularity is Angry Birds, I love the Star Wars version, and back in the console days, I played a lot of Guitar Hero and RockBand. The apps I can’t live without are more practical, like Facebook, Podcasts and from April to October, MLB.com. et. Head over to iTunes to download Slash Chord!